I started this painting outdoors as I sat a bench for about an hour. That is the best part. 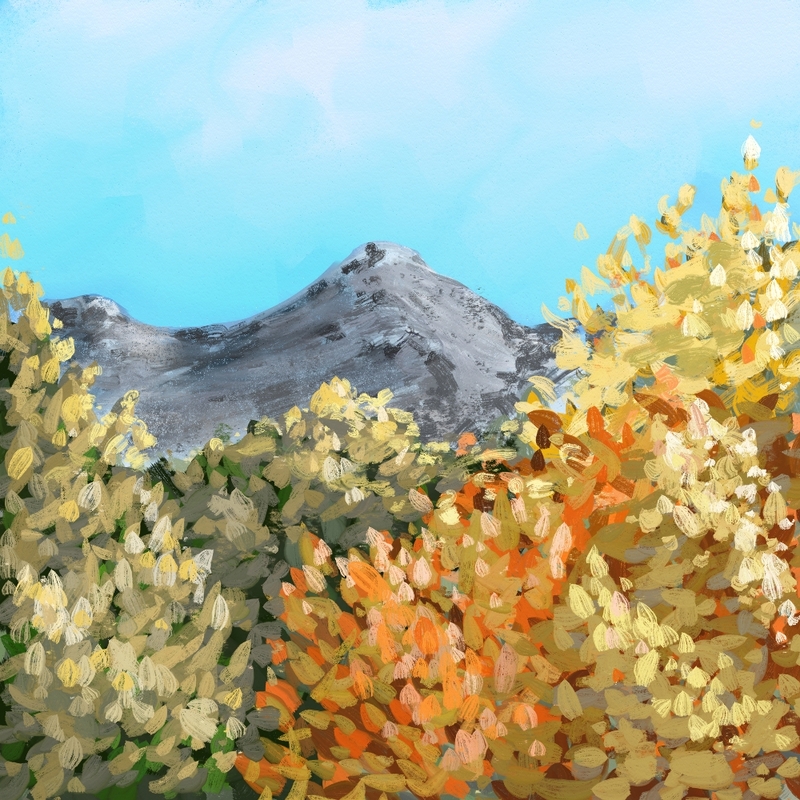 However, painting digitally outside is difficult in that the brightness reflects a lot on the screen and I tend to over saturate the colors and my values are off. After I brought it home, I was able to work on it and tone it down a bit and I think I managed to get more depth to the painting. I used Artrage on my Surface Pro 3. Oil brush with a bit of palette knife on the mountain. I think I used 5 layers but ultimately merged down to 3. Trees, mountain and sky. 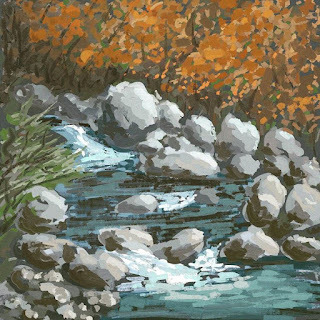 Plein Air Painting on a Stool by a Creek.